Local eating isn’t only about fresh fruits and vegetables. Cakes can use local ingredients too! 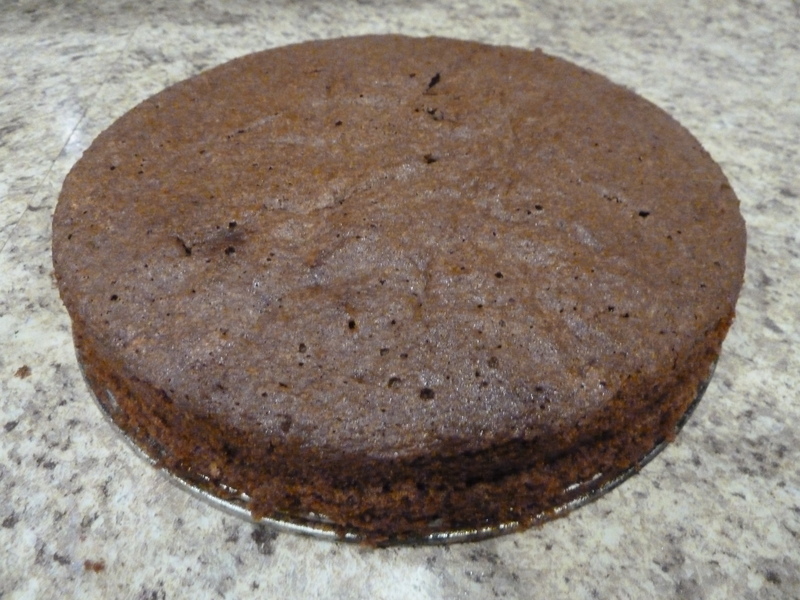 Encouraged by a cake baking class I took recently, I decided to try my hand at making a sacher torte. 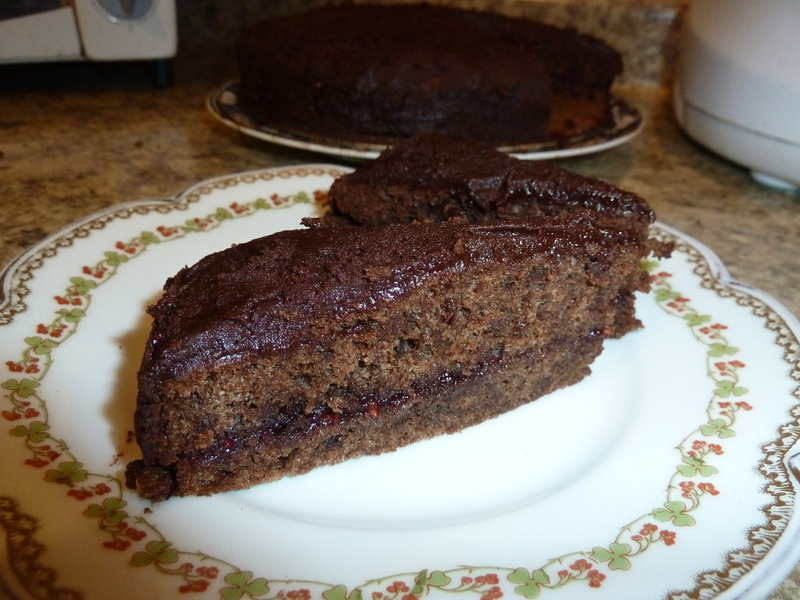 This rich, chocolatey cake traditionally has a filling of apricot jam. I’m pretty sure apricots don’t grow anywhere in northern New England, but raspberries certainly do. 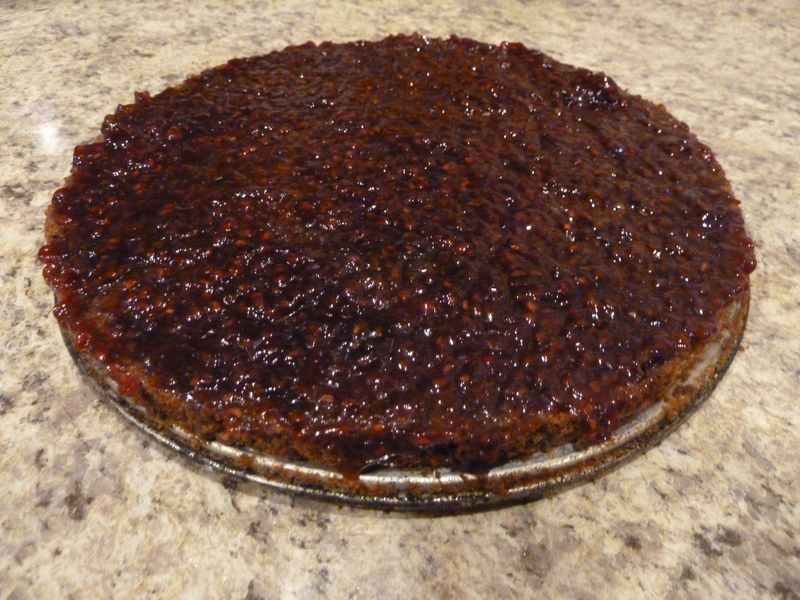 Seeing as I have plenty of homemade raspberry jam on hand, I decided to use that for the filling. I used the recipe in my 1976 edition of the Joy of Cooking. The result wasn’t as dense and rich as I remember sacher torte being, but was still quite good and, most important of all, very chocolatey. I look forward to more baking practice as I hone my cake-making skills. Watch this space! This entry was posted in jams syrups preserves, Uncategorized and tagged baking, desserts. Bookmark the permalink.